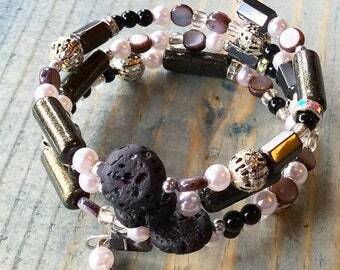 Handcrafted one of a kind jewelry. Announcement Welcome to our family-owned jewelry business. Over two years ago I really struggled with depression and anxiety. I took a jewelry making class for my birthday with some friends and that is where it all began. I started making jewelry for friends and family and it brought me so much joy. So slowly the idea of opening up a shop grew so that I could share that joy with others. We started our ETSY shop out in the fall of 2016. We have loved bringing you joy ever since. We find such joy being out in nature as a family that as a company we try to strive to reuse materials as often as possible. Most of our packages we reuse shipping materials to help the environment but also to cut the costs of shipping. Currently, we are also trying to strive to shop as ethically and "Fair Trade" as possible. Buying our materials from small local shops, through other handmade makers or sellers on ETSY and the web as much as possible. This does cause our prices to be higher than some other shops but it brings us so much joy to support other small shops in the process and bring them some joy. 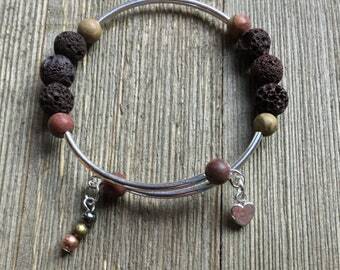 Buy buying our products you are not only supporting our family directly but you are helping us to support other small shops and handmade businesses. 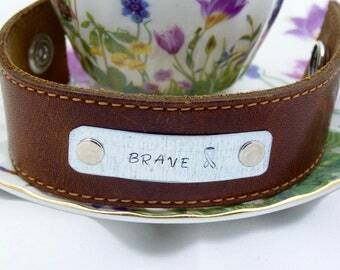 One thing we really love to do is make custom orders for people. Please contact us and let us know how we can help you. Our charity curated Art boxes are back. There are only 5 left so make sure you order yours before they run out! 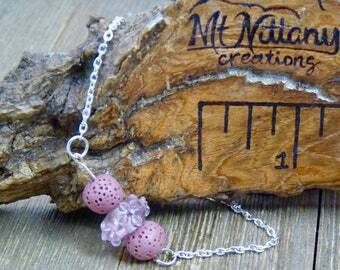 All the items are handmade by other small shops. If there is any problem at all please write to me via the Etsy email system. I will do everything I can to make sure your entire purchasing experience is an excellent one. Tarnishing is quite normal. Most chains are plated; the only types of chain that will not tarnish are gold-fill and sterling silver (silver does tarnish, but it can be easily cleaned off). The longevity of the chain's quality depends on how the chain is worn and the maintenance of it. Electroplated chains tarnish rapidly under both hot and humid conditions. Any moisture (e.g. water, sweat) will further the oxidation process. 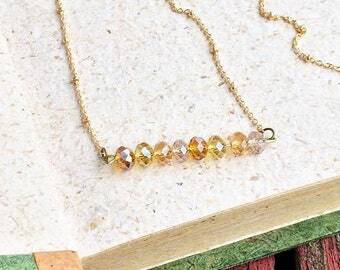 The chain will tarnish, but depending on how well it is handled, the original quality can last from one day to even a year. If this is a major concern, please not purchase plated chain/findings, gold-fill and sterling silver chains are good, but a pricier alternative. Welcome to our family-owned jewelry business. Over two years ago I really struggled with depression and anxiety. I took a jewelry making class for my birthday with some friends and that is where it all began. 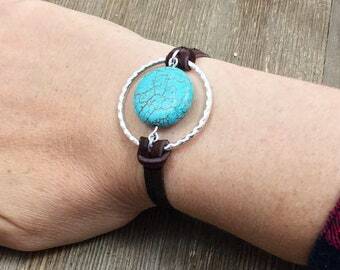 I started making jewelry for friends and family and it brought me so much joy. So slowly the idea of opening up a shop grew so that I could share that joy with others. We started our ETSY shop out in the fall of 2016. We have loved bringing you joy ever since. 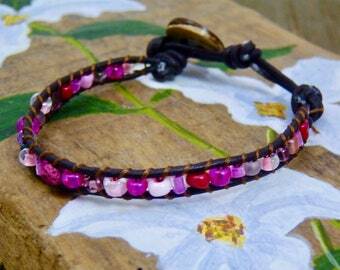 woven beaded, leather wrap bracelet with pink beads and a lava rock bead for a diffuser. Penn State diffuser bangle bracelet. 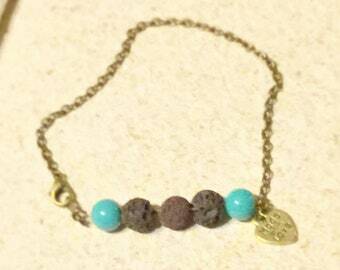 Blue paw bracelet. 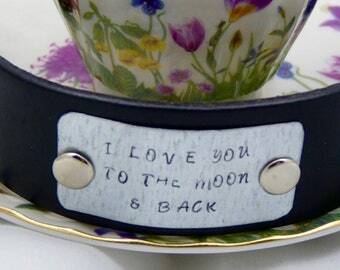 Hand stamped leather cuff bracelet, "Keep Calm"
Hand stamped leather cuff bracelet, "I love you to the moon and back." Such a unique and special addition to our Christmas tree! Amber added a charm - my daughter's birth stone - to celebrate her coming home to us this year. 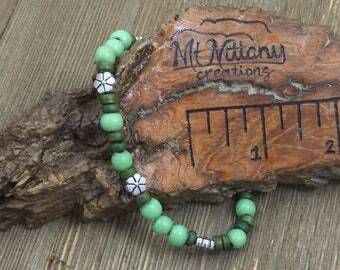 Mt Nittany Creations Brand Rep Package! Here is where I sit for many hours a day, homeschooling our one son and making my jewelry creations! Hi friends! 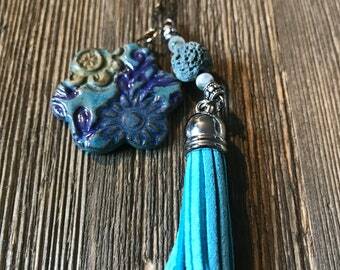 Did you know we are offering essential oil jewelry! Come check it out! 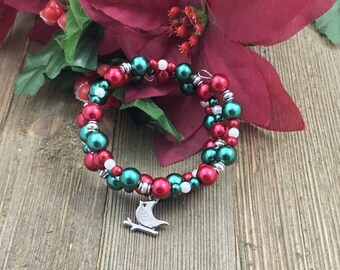 We are updating the shop with all kinds of goodies in preparation for the holiday season. We will also be offering free shipping up until 12/10. We are switching our shop over to more essential oils items! 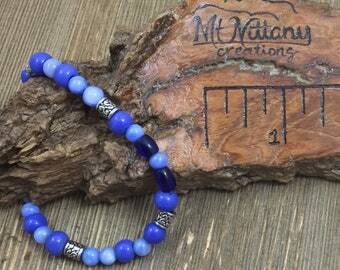 Here is one of our latest bracelets that I have added. Come check back often as we add new products! Taking new photos. 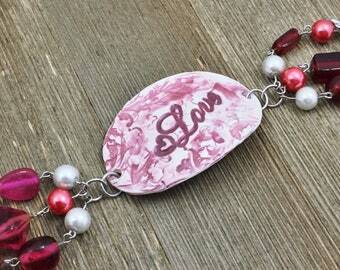 We are working on our valentines and spring line taking new photos and adding them to the shop! My one work, storage area! Look at all the fun jewelry displays I received for my birthday! So blessed! Sending out some Happy Mail! Here I am creating some new pieces and getting ready to send out some happy mail. I have always had a love for crafting, so we decided to open up our shop to share that love with others! Hi! My name is Amber. I grew up watching my mom craft and create. Going to a craft fair with her, watching her create costumes for us and a wide variety of other things. 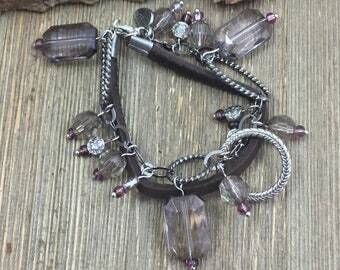 In recent years I took a jewelry class at a local crafting place and fell in love with making jewelry. I began making gifts for friends and family. The last few years I have gone through a really tough time with my health. In the past few years, I discovered that crafting brought a lot of joy to my life and so we decided as a family to open a shop together and share that joy with others. Enjoy the creations made by my dear husband, daughters, mom and myself. Thanks for checking us out. May you find joy in the products we have made to share with you. I thank God for this opportunity. I have always enjoyed crafting. As a kid, I loved watching my mom being creative and selling things at local craft shows. I love to create for others and wanted to expand that out beyond family and friends. I am excited to share my creations. I enjoy working with my hands, building things, playing sports, music and hanging with my family. I am excited to help my wife out, as we begin this adventure. Ema has always loved to make crafts. 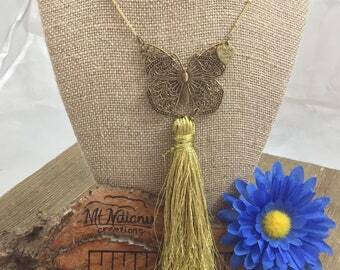 This summer, she and her friend sold jewelry at a childrens art fest. 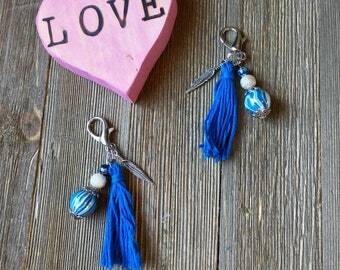 She loves to make jewelry as well and is excited to contribute to our family shop. Jael also loves to craft. She too sold at the Children's Art fest this summer. She has made several items and is excited what will happen with our family shop. Cassandra makes beautiful ceramic pieces. 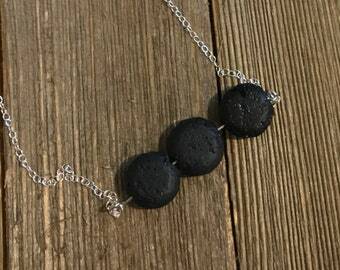 and has made some that you find in our necklaces. She crafted the ceramic piece. 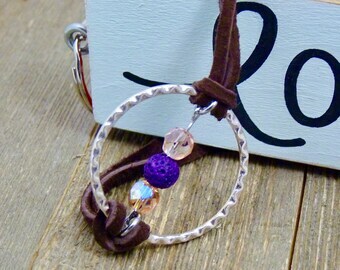 Jennifer helped me to create the pendants that are in the diffuser necklaces. Lil bits of wooden string art signs handmade with 💓! 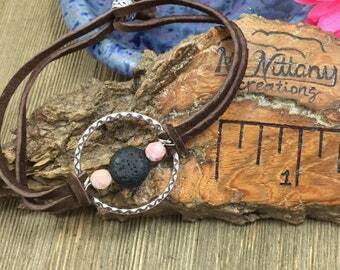 Yes we make custom and personalized pieces. Most of what you see in the shop can be customized in some way or we love a challenge so share and idea and we will be glad to try and help your dream piece become a reality. We offer gift wrapping and packaging. There is an additional cost please mark the option in your order right before you checkout and let us know what the holiday is and we will try and accommodate you as best we can. Most of our listings contain info on what the size is or how it measures up. If it doesn’t and you would like to know more feel free to contact us. Please note that it is good practice to remove metal jewelry when you will be entering water. Most of our products are made with non tarnish material but some are not. This will help your pieces to last longer.